The artistically inspired Expressions® collection has been transformed with updated styles, colors, and features! 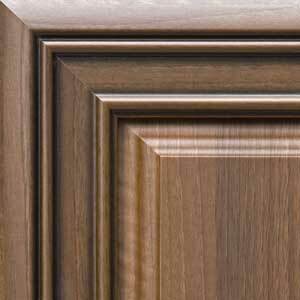 These improvements provide customers with the highest quality, 5-Piece Deco-Form® cabinet doors in the industry! For a sophisticated design reflecting the renowned artists who inspired this collection, Expressions® offers customers an opportunity to create their own unique masterpiece. . . Bravo! recessed or true raised panel, to create your own masterpiece ... Bravo!